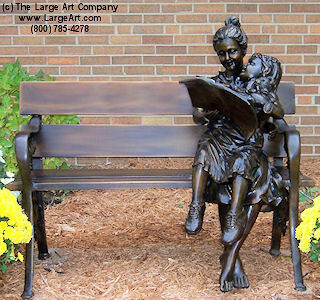 Storytime is a bronze sculpture of a woman and child enjoying a book together on a bench. This piece is available in the traditional brown patina as well as a multi-colored patina. The sculpture measures 38" tall x 44" wide x 28" deep. Measurements: 38" tall by 44" wide and 28" deep.